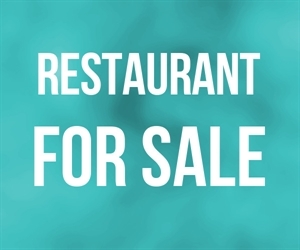 This long established Eagle Rock cafe with beer and wine represents a perfect low entry cost opportunity for those seeking a versatile location for a food business in this highly popular area. The restaurant, which is currently configured to seat approx. 40 patrons, can thrive under any number of concepts and may be easily modified as needed. The sale comes with a full-kitchen, plenty of storage space, room for expanded seating, and a beer and wine license that permits sale until 9 pm (however, the hours may potentially be extended). Location and Facilities: This prominently located 3,000 square foot facility leases for $6,749 per month. The lease is valid until July 2015, however, a new five year lease will be negotiated in the sale (however, not likely at a lower rate and the anticipated 2014 rent of $7,020). The sale includes all of the business s furniture, fixtures, equipment, goodwill and beer and wine license fully paid off. Market Information and Position: New owners may seek to build upon the current long-standing concept, or capitalize on Eagle Rock s popularity to launch any number of new concepts from this highly versatile space that has room to grow physically as well as in its revenues and profits! Competition: Eagle Rock continues to become a more and more competitive marker for food businesses. That said, few can match this venue prominent location, which has excellent street frontage and freeway access, thus providing it a sustainable competitive advantage for years to come.